We had the pleasure of capturing an intimate nature wedding in Yosemite. Yosemite weddings in early spring usually offer amazing views and tempered weather. Snow still capped the surrounding Yosemite Valley peaks and the valley floor grass was desperately attempting to rise again after a long winter. 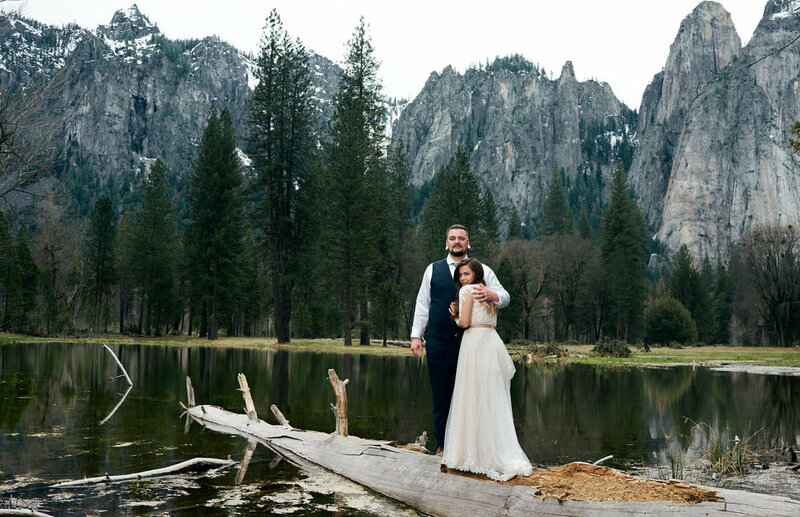 There are no perfect conditions for a destination wedding or especially a Yosemite elopement, each season in Yosemite has it's own special charm and unique aspects to capture as Yosemite wedding photographers. Adventure wedding photography like this can be a challenge but highly rewarding. Not only do you get amazing elopement photos, but you also get to experience a more intimate wedding experience. If you would like to book your Yosemite wedding photographer or Yosemite elopement photographer, contact us!